Were salary deductions from public officers a disciplinary matter? At the end of November 2018 deductions from the salaries of certain public officers were made by the government. The government claimed that the deductions were made for the days during which the officers absented themselves from their workplaces as a result of industrial action. As a consequence, questions have been raised by many regarding the legality of those deductions. Some have taken the position that the government had no constitutional right to take this form of action as it is only the Public Service Commission (PSC) which has the power to discipline public officers. Others are contending that the deductions were purely contractual and not disciplinary. The question as to which position is correct depends upon the provisions of the common law, statute law and the Constitution of Grenada. It is conceded that section 84 of the Constitution gives the PSC “the power to exercise disciplinary control” over public officers. Therefore, if matters of a disciplinary nature arise the PSC must be approached to investigate and institute the appropriate action. The significant question which arises therefore is whether the said salary deductions amount to a disciplinary matter or not. There seems to be no question that sometime during the month of November 2018 many public officers which category includes teachers and general public service employees obeyed the instructions of the leadership of their respective unions to take industrial action. This industrial action was for them to absent themselves from their respective workplaces on certain specified days. The unions wanted to call attention to the ongoing industrial relations dispute with the government over the quantum of advanced payments to be made from pensions when public officers retire. The unions claimed that 25% of pension entitlements must be so paid up front as “gratuity”. Government’s last offer was 8%. All parties have already agreed that pensions for public officers would be 70% of last salaries. This amount is substantially more than what they received from the National Insurance Scheme (NIS) over the last 35 years from 1983. It is to be noted that the terms of employment for all employees, including public officers, contemplate that they are entitled to salaries or wages for specified work which has to be done during the period of employment. However, exceptions to this general rule are provided for in the Employment Act 1999 where certain provisions are made for employees to be absent from the workplace without their expected salaries or wages being reduced. These provisions cater for sick leave, vacation leave, study leave, and maternity leave. In fact, section 144 of the Education Act which is the governing Act for all teachers specifies the procedure to be followed if teachers need to have up to 2 days leave per term if applied for at least 2 days in advance. There is no statutory provision for employees to be paid salaries or wages during the period that they are absent from the workplace as a consequence of strike action. In fact, according to industrial relations practices all over the world, trade unions usually maintain a “strike fund” from which striking workers are assisted with basic necessities during a period of industrial action. The English House of Lords case of Miles v Wakefield Metropolitan District Council (1987) UKHL is a most significant case. This case established that employees are only entitled to salaries for work which has been actually done, that is, salary payments must be done on a quantum meruit basis. 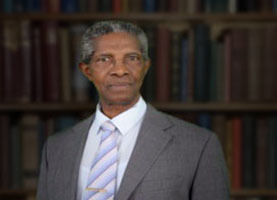 However, it was the Jamaican case of Sykes v Minister of National Security and Justice and the A.G (2000) WIR Vol 59 p411 which was ultimately heard by the Privy Council, that established firmly that an employer is entitled to make deductions from salaries of workers who do not work as a result of industrial action. In fact, the judgment, in that case, went on to affirm that deductions of salaries that were not earned is not a penalty which arises out of a constitutional issue, but it is a contractual entitlement that boosts the principle: “no work no pay”. The above-established principles do not take away the right of workers to engage in strike action, however, whenever they engage in so doing, they must be prepared to experience deduction in salaries. It seems clear therefore that the deductions which were made by government from the salaries of some public officers for the month of November 2018 were not as a result of disciplinary action but was based upon purely contractual relationships: “no work no pay”. It is most irrational therefore to contemplate that the Public Service Commission ought to have been the body to deal with the absence of workers from their workplaces as a result of industrial action. Notwithstanding, workers do have a right to engage in industrial action based on specified procedure as laid down in law.